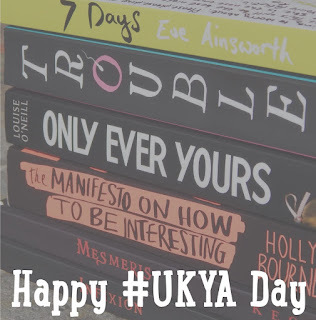 If you didn't know already, today is #UKYA day- created by Lucy @ Queen of Contemporary! It is a whole day dedicated to Young Adult UK Fiction, full of competitions, live shows, hangouts and Twitter chats with your favourite YA authors. You can follow Lucy on Twitter here, where you can see what is happening right now. 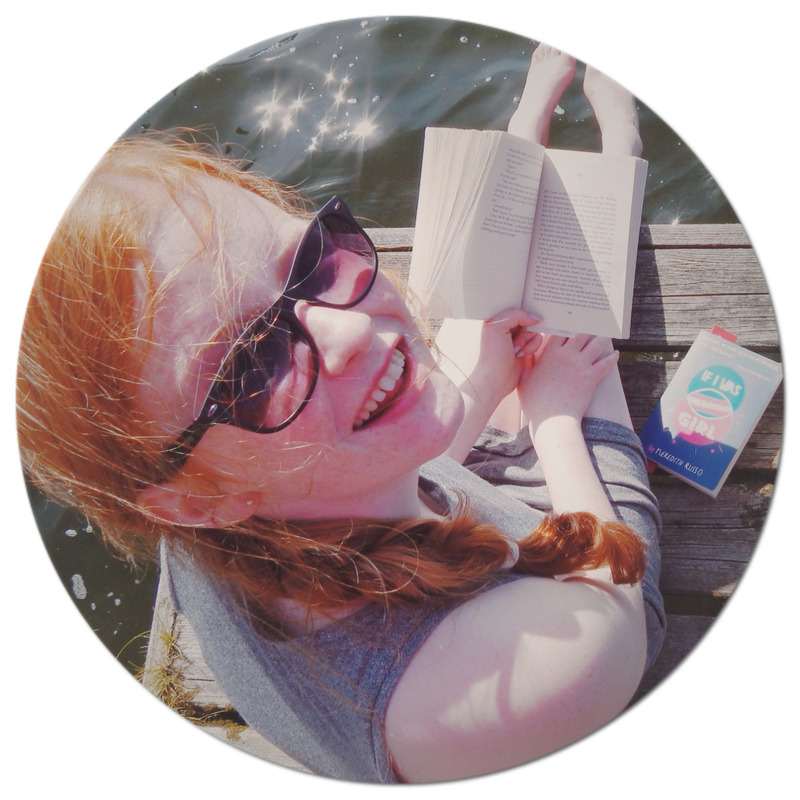 As YA books are very close to my heart- as are UK YA books, I wanted to write a blog post in celebration of the day. Here are just some of my favourite UKYA books! Trouble by Non Pratt: A brilliant, gritty book- exploring the realities of adolescence, and how some simple actions can effect your whole life. You can read my full review here. Seven Days by Eve Ainsworth: Just one of many UK YA books that had me captivated from the first page. Eve Ainsworth takes on two unexpected perspectives- one from a victim of bullying, and one from the real bully. Click here to see my review. Only Ever Yours by Louise O'Neill: Easily my overall favourite YA book of 2015, as it has such a unique plot; exposing how women and young girls are treated in a society. Here you can see my review on 'The Guardian' Children's Books website. Mesmeris by K E Coles: A definite UKYA book that has the potential to fly off book shelves. Anyone can quickly dive into the world of, 'Mesmeris,' a very religious, crazy cult. You can read my full length review, here. Infixion by K E Coles: Infixion is the sequel to Mesmeris, and it did not fail to shock me even more: as you follow more people that the, 'Mesmeris,' cult has effected in some way. You can read my review here. 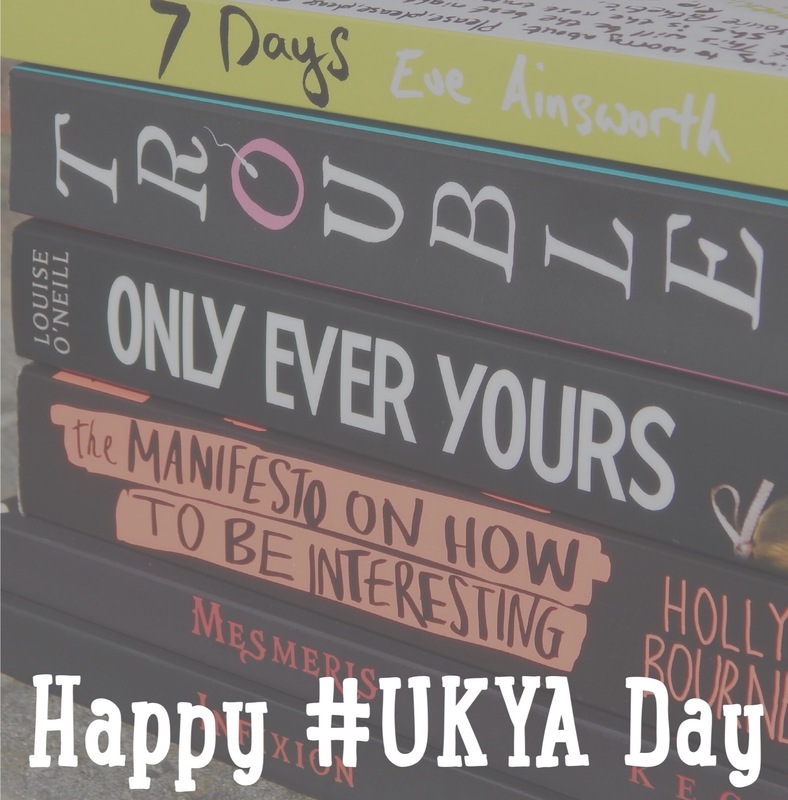 #UKYA day is such a fabulous occasion to bring together all of the bookworms, book bloggers and book tubers. To me, YA in itself will always be in my life, it is so comforting to be able to pick up a YA book- and totally escape from any stresses in my life. I can empathise with my favourite characters, and I can get lost in the book. I am still astounded that letters, that combine to be words across paper: can take any reader into a completely different world. Reading UKYA is even better; books written by authors that have lived in similar places to me make me relate my own experiences to their novels: so it's even more important to make #UKYA more noticed.